We finished our first of six terms this week. One sixth of the way through! When we started, in July, I was second guessing my plan, but now that we have one term over I am so glad we started when we did. We're looking forward to two weeks off - our scheduled break and a week of camping with family. I think we're all ready for a little break. Here's a bit of what we've been up to the last two weeks. 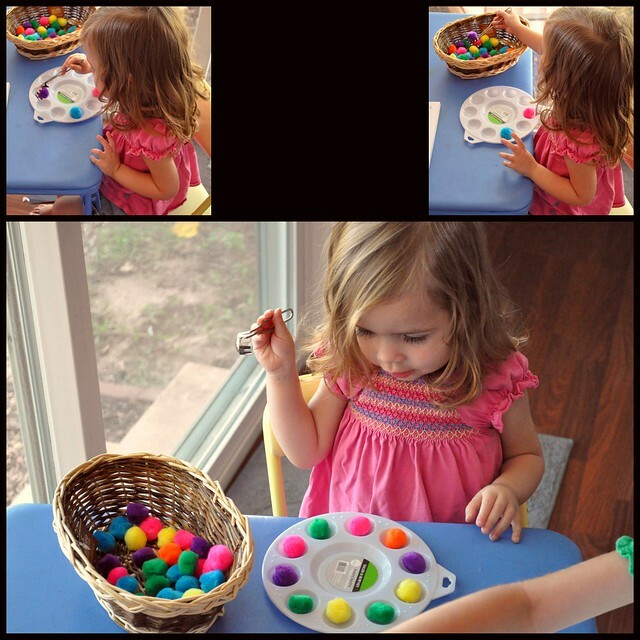 Sarah scooping mini poms into a paint palette. It kept her busy for an hour! Later, we worked on colors by having her scoop all of a certain color into the middle. Then, we would count how many there were. Caleb - Caleb is working on reviewing long division, angles and shapes in math. He had his first test for grammar and got a 100%. In writing he has been learning about outlining and finding the main topic of a paragraph. He finished reading Freedom Train and started The Perilous Road. In Science he's learned survival skills for different environments. 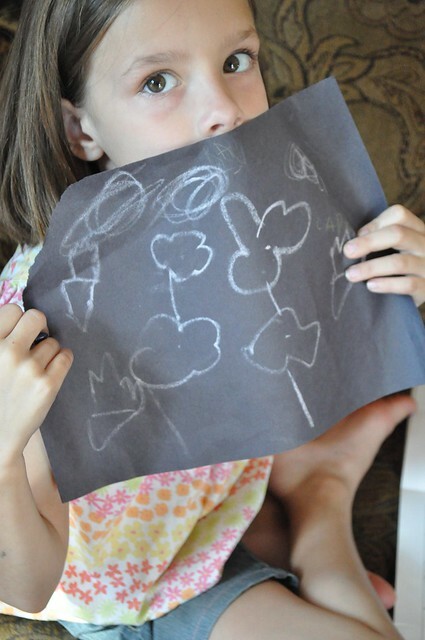 Rachel's chalk drawing she made after reading The Chalk Box Kid. Josiah - He's been reviewing rounding, place value up to billions and addition/subtraction with carrying/borrowing. In grammar, he's been studying subjects and predicates. He finished Freedom Train and started The Perilous Road. For writing, he's done copywork and narration along with one dictation assignment. 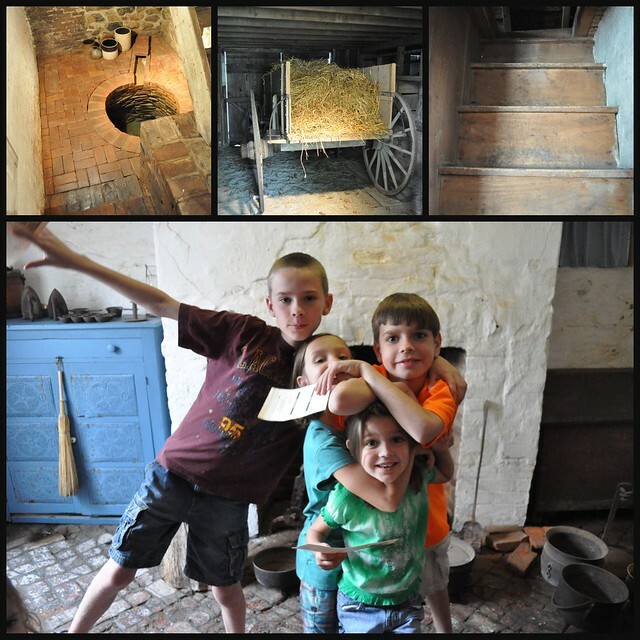 Some pictures from our field trip to the Levi Coffin House, a grand central station in the underground railroad. The tour was very informative and it was a neat addition to our studies on the underground railroad. The top left photo is an inside well that they found while excavating the basement floor. It's full to the top with crystal, clear spring water. The middle picture is an example of a wagon with a false bottom to transport runaway slaves. The last picture is the steep staircase into the attic, the area they think they probably kept the slaves. I highly recommend visiting! Rachel - She's been working on addition and subtraction. She's learned about nouns, both common and proper. She's read Paint Box Kid, Chalk Box Kid, Mailing May, and Owen and Mzee. In writing, she's done copywork and narration. 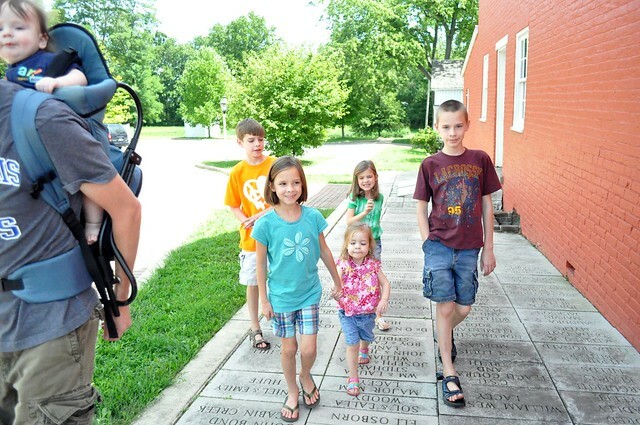 All the kids heading into the Levi Coffin House. Jada - Jada has been working on addition and place value. She also learned about common and proper nouns. She finished I Can Read It 1, I Am a Leaf, and Sammy the Seal. She has also done copywork and narration for writing. 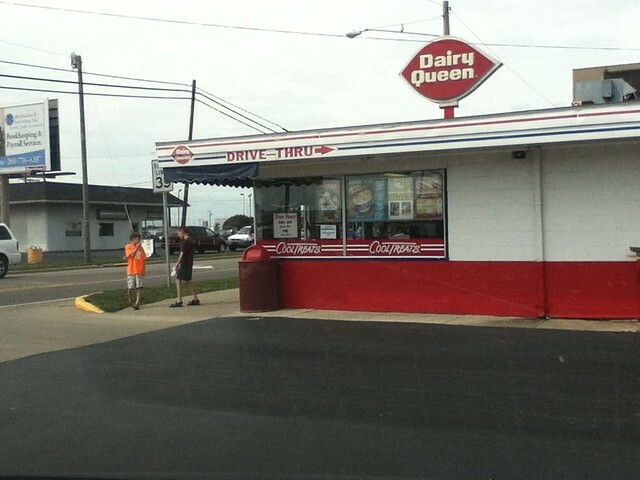 Stopping for ice cream on the way home. History - We've been learning about the escalation to the Civil War. We've talked about slavery and the underground railroad. We've also learned about the California Gold Rush. Sarah matching bugs. 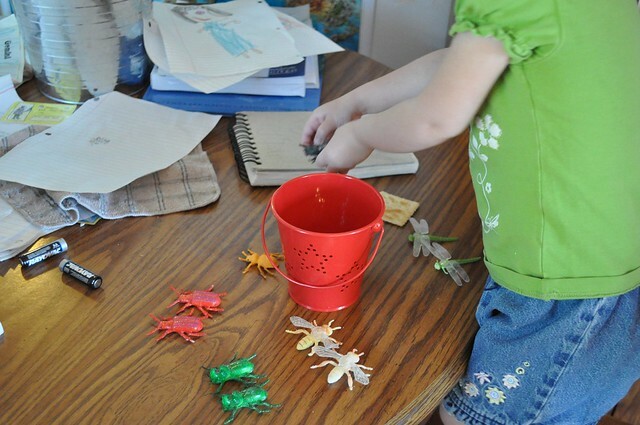 I purchased 2 identical packs of glitter bugs at the dollar store, then put them in a bucket and told her to find the matches. She really enjoyed doing this! I'm going to have to find more small toys to do this with. We've read All Sail Set as our read-aloud. None of us liked this book, but we pushed through. The boys wanted to just quit several times, and I was greatly tempted. But, we've been talking to the boys about diligence and sticking to things. I decided that quitting wouldn't set a very good example. 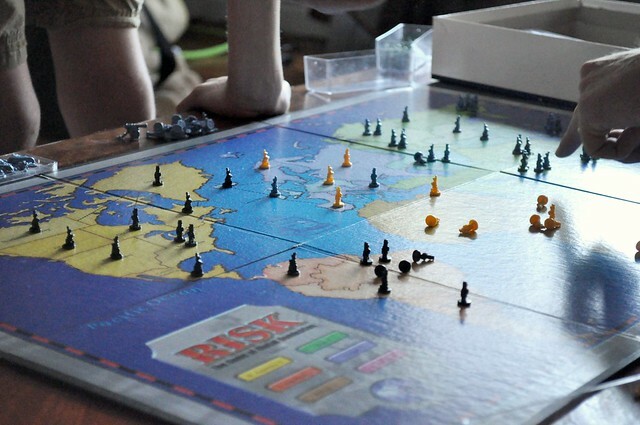 A rousing game of Risk. Science - We learned about reptiles. 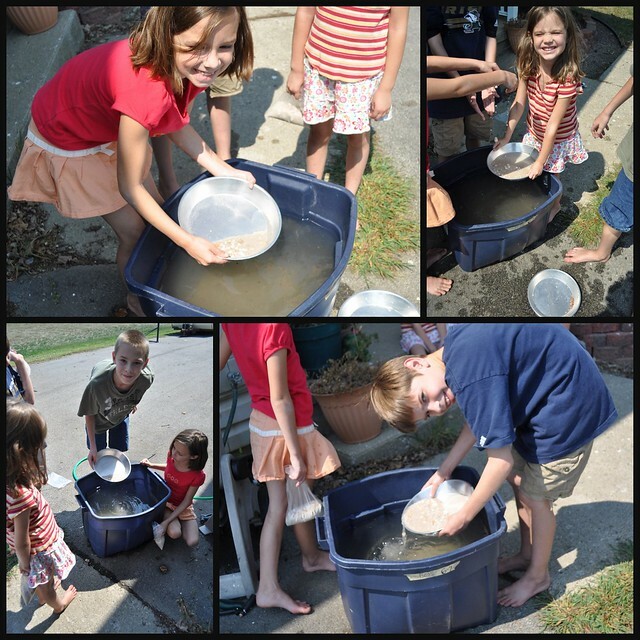 The kids panning for gold. We bought the panning sets from Hands of a Child. They thought it was great fun ... especially since the heat was back and it was a great way to cool off! They all found "gold", but decided it wouldn't be much fun to pan all day long. 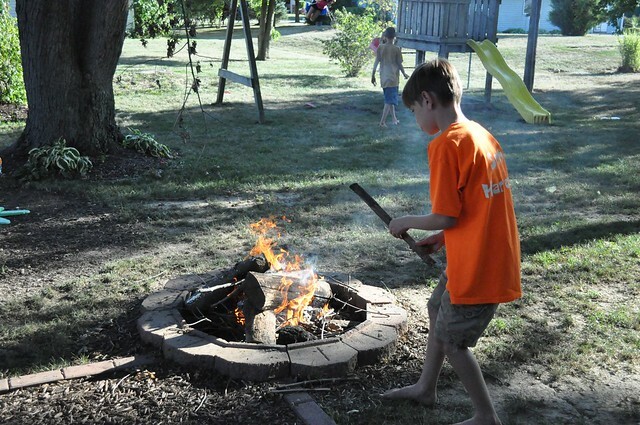 Josiah adding wood to our fire earlier this week when we had perfect weather for it! We enjoyed s'mores and are looking forward to more this fall. 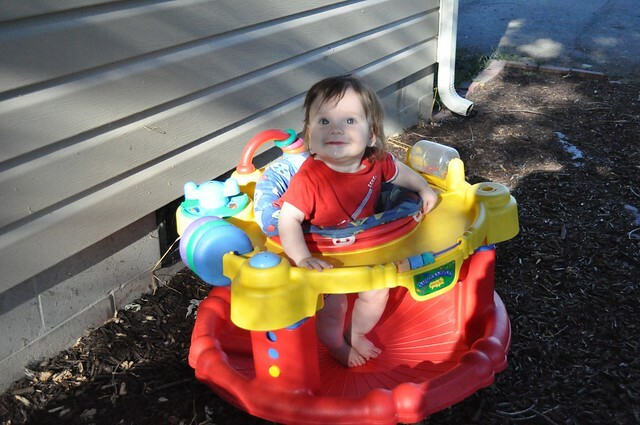 Alex enjoying the great outdoors. Looks like a great couple of weeks! =) Lots of fun activities. What a great couple of weeks! Hope y'all enjoy your break. We've never been to the Levi Coffin house but we need to go! Did you enjoy it and are there other things to do nearby? We really enjoyed the Levi Coffin House. I think it was well worth the trip. It's also very inexpensive ... $2 for adults and $1 for students. I don't know of anything else to do nearby. It's really close to Richmond. Looks like a full and busy couple of weeks. The Levi Coffin House sounds interesting. You may want to link up at the Let's Hit the Road field trip blog hop. http://lifesadventures-amb-fieldtriphop.blogspot.com/ Looking forward to reading more through out your school year.